On September 26, 2014, 100 students from a radical teacher’s college entered the city of Iguala to demand education reforms for rural, impoverished schools throughout Mexico. 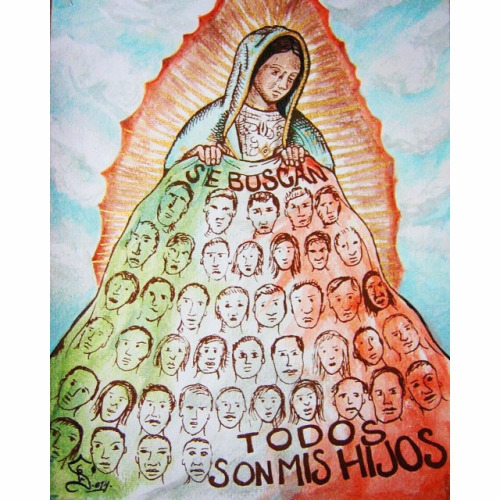 By 9 p.m. that night, Mexican authorities and armed men ambushed their buses, leaving 43 normalistas unaccounted for to this day more than six months later. Some victims were found tortured. Others were thrown in jail, and some were murdered execution-style. The victims’ families were left without any answers or any hope. Despite facing off against one of the most corrupt and violent governments in the world, the women leading the fight for justice for the missing normalistas are now traveling around to 45 American cities to spread the truth about what really happened to their loved ones: killed by the grip of the Mexican government without any accountability. Led by the mothers, wives and sisters of missing normalistas, the women fighting on behalf of the Ayotzinapa 43 are fearlessly standing up to government threats and intimidation to hold Mexican officials accountable for the deadly ambush. From Los Angeles to New York City, they are audaciously naming the Mexican government responsible for their loved ones’ deaths. The women come from a long line of Mexicanas who have stood in resistance to systemic violence. Before the women of Ayotzinapa came the Zapatistas, a group led by mostly indigenous women who led a people’s uprising in Chiapas in the early 90s. Young and old, they created the Women’s Revolutionary Law, a set of radical social laws aimed at addressing the machismo ingrained in Mexican culture and society. Zapatista women comprised more than a third of the armed Ejército Zapatista de Liberación Nacional army and continue to play a key role in the horizontal, leftist community in Mexico. Before the Zapatistas came the insurgent women of the Mexican Revolution. Known as soldaderas or adelitas, the revolutionaries fought right alongside the men, but are always overshadowed by their male counterparts. The heroic stories of women like Juana Belen Gutierrez de Mendoza have been swallowed by a more patriarchal narrative. Mendoza was an anarchist feminist journalist who founded the radical newspaper called Vésper that detailed the injustices of dictator Porfirio Diaz. The role of other Mexican women such as Margarita Neri, who served as one of Emiliano Zapata’s officers, has historically been completely erased even though they were key players in the Mexican Revolution. Rallying behind the cry, “Vivos los llevaron, vivos los queremos” (Alive they were taken, alive we want them), the Ayotzinapa women traveled from Mexico to remind people of their missing loved ones and to demand an end to the epidemic of more than 100,000 people murdered and more than 30,000 missing people – mostly women – as a result of the Mexico/US drug war. One of the women caravaning for the Ayotzinapa 43 is Blanca Luz Vélez Nava, mother of missing student Jorge Alvarez Nava. She described her constant anguish over her missing son as a driving force behind her giving visibility to Mexico’s disappeared. The women are also boldly calling out President Barack Obama for continuing to financially support and arm Mexican officials through Plan Mérida. The president said that there was “no place in a civilized society for such gruesome reports,” but acknowledged that millions of dollars in US aid contributes to the bloody corruption that led to the ambush in Ayotzinapa. 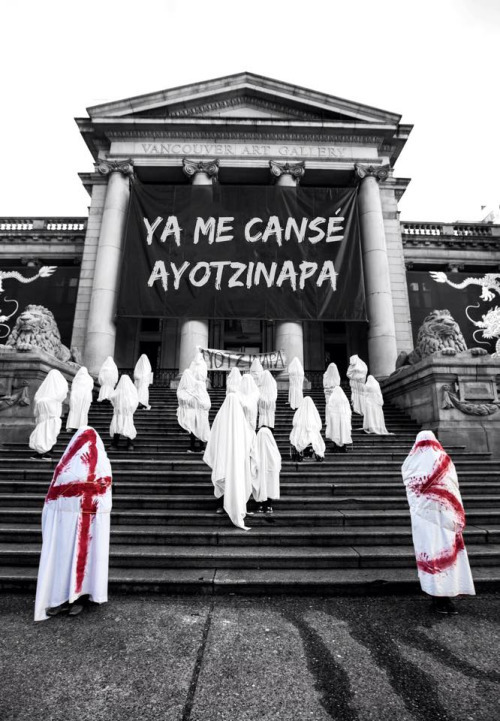 Because of the women behind the Ayotzinapa solidarity protests, dozens of international human rights organizations and newspapers have pressured Mexican president Enrique Peña Nieto and his officials to conduct a thorough investigation to confirm if any state or municipal police had any involvement in the students’ disappearances. The families even pleaded their case to the United Nations Committee of Forced Disappearances in Geneva in February, saying “We come before this committee seeking support and justice, as our government has been unable to provide either.” While the women say they are confident they know the state is behind the massacre, they continue to demand accountability with solid proof of what happened to their loved ones. Following in the radical footsteps of the strong Mexican women who came before them, the women fighting for justice for the Ayotzinapa 43 and all those who have disappeared under the reign of unjust leaders are strengthening the tradition of feminist resistance in Mexico. Standing up in the face of injustice, these Mexicanas are shaping a new global political discourse built on feminist horizontal activism driven by those who have been murdered by state-sponsored violence. Graciela Razo works with homeless young people in New York City & is currently organizing Yeah, That’s What She Said, a weekend of art & programming created by & for women. She enjoys radical politics, womanist resistance, gardening & warm weather. Graciela hails from the friendly borderland of El Paso, Texas & currently lives in Brooklyn.